NOTE: Please download this slide deck from the SlideShare platform to view. Sánchez Luna M, Manzoni P, Paes B, Baraldi E, Cossey V, Kugelman A, Chawla R, Dotta A, Rodríguez Fernández R, Resch B, Carbonell-Estrany X.
PeerVoice has launched three RSV activities, in collaboration with and endorsed by ReSViNET Foundation. Use the link below for more information and content of the programs. RSV (Respiratory Syncytial Virus) infection is the second most important cause of death during infancy, especially in developing countries. 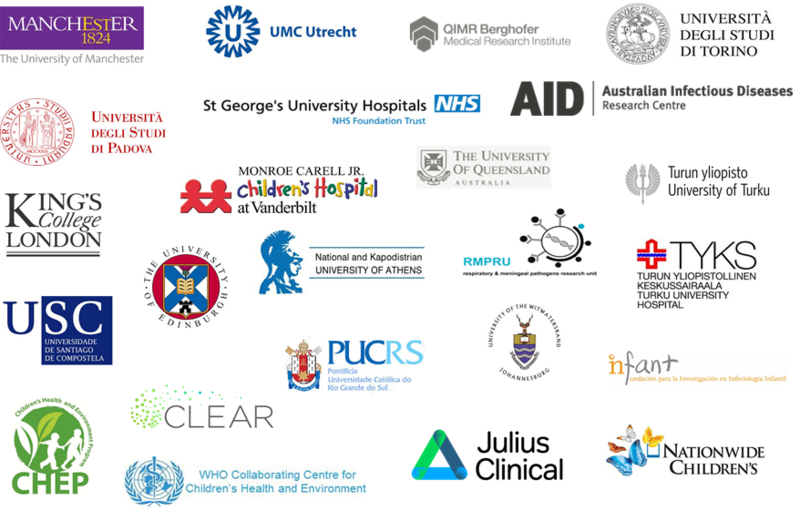 Since the inception of ReSViNET network in 2014, we have continuously been working to fulfil our Vision and Mission with the goal to decrease the global burden of RSV infection through the advancement of research; providing scientific input and involvement in clinical trials. ReSViNET Foundation is a financially and otherwise independent regulated entity. Complete RSV antibody repertoire at birth in preemies. Pou C, Nkulikiyimfura D, Henckel E, Olin A, Lakshmikanth T, Mikes J, Wang J, Chen Y, Bernardsson AK, Gustafsson A, Bohlin K, Brodin P.
Virscan is a novel diagnostic tool to measure antibodies against >1000 viral strains. It shows previous viral exposures of an individual person. Christian Pou and colleagues used Virscan to get understand antibody transfer from mothers to their infants. The authors compared the antibody repertoire against RSV, amongst other viruses, of preterm and term infants. Despite a higher IgG concentration in term infants, both groups had the same antibody repertoire. Furthermore, the RSV-neutralizing capacity in plasma of preterm and term infants did not differ. This is surprising because it’s is generally accepted that maternal antibody transfer occurs in the third trimester, and that extremely premature children lack this passive immunity and therefor are more prone to develop RSV. It’s fascinating that preterm infants would have the same repertoire and functionally active RSV-antibodies as term infants. Nevertheless, it leaves us with the question what the precise role is of maternal RSV antibodies in RSV immunity in preterm infants. As the number of participants in this complex study was low, future research should aim to confirm these findings and help us understand transfer of specific vaccine-induced antibodies.